At Protected Trust Services we strive to offer our members a complete solution that will allow their tour operator business, or, travel agency, to thrive and enhance profitability. The European Tourism Association (ETOA). ETOA is the leading trade association for tour operators and suppliers with business in European destinations. European tourist boards, tourism suppliers, attractions, and accommodations are just some of the suppliers that are looking to work with tour operators and travel agencies throughout the UK. Through becoming an ETOA member, tour operators and travel agencies can easily network, directly speak with and build good business relationships with a plethora of wholesalers, intermediaries and online operators. PTS has seen many of our members looking to expand their portfolio of destinations or packages. ETOA membership is an excellent avenue to allow you to gain the contacts and business relationships with the very suppliers you need to expand your product range. For any trading travel business, a support network and strong business relationships are key to growth. The issue in travel tends to be the time and money it can cost to go and source the suppliers and meet them in their home countries. ETOA, works tirelessly to bring the European travel community closer together to encourage expansion and great working relationships. If you are starting as a tour operator and looking to gain more suppliers to expand your ideas and package portfolio then the ETOA B2B events are an excellent vehicle to meet the very suppliers you may require for your travel company. 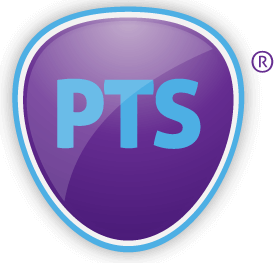 At PTS we believe in the power of networking and being able to reach the suppliers and businesses that enable your tour operator or travel agency to grow. The more we can do to support you, the better. ETOA membership is just one of the avenues we have put in place to support our members further.